Shopping for souvenirs in Sturgis Thursday. STURGIS, S.D. - A late surge on temporary vendor permits sent the city of Sturgis over last year's numbers. Sturgis City Manager Daniel Ainslie says total vendor numbers as of noon Thursday was 646 -- over last year's 636 total. Ainslie says there's a reason they realized a slow start on the permits. "The reason why they were lagging so much is that there were far fewer vendors that showed up for the two 12-day permits, that was actually down like 30 or 40. 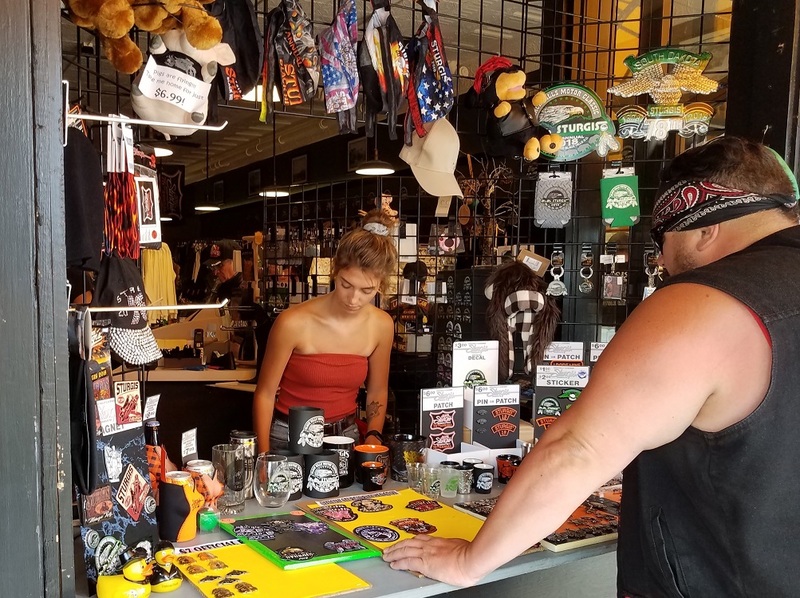 And so, what happened is that vendors showed up a few days later than they usually do and noticed how busy Sturgis was, and hurried to put everything up and then by about Tuesday, Wednesday, the first 12-day permit was over, and had to purchase a second one." The city says garbage collection so far is right in line with last year and up over 2016. Sturgis police say the biggest problem so far this year is parking -- an annual situation for authorities. Police say "if you aren't sure about a parking space, you probably shouldn't park there." Police have spent the week towing illegally parked motorcycles, cars and trucks. And, data from the South Dakota Department of Transportation shows that traffic is up 5.1 percent overall for the first six days of this year’s 78th annual Sturgis Motorcycle Rally compared to the same time last year. The numbers, released Thursday, are for Friday through Wednesday.